“Malayanma”, from Pracina Kerala Lipikal, by El E Ravivarmma, 1971. From the Ames Library of South Asia, University of Minnesota, photo taken 2009. “Malayanma. 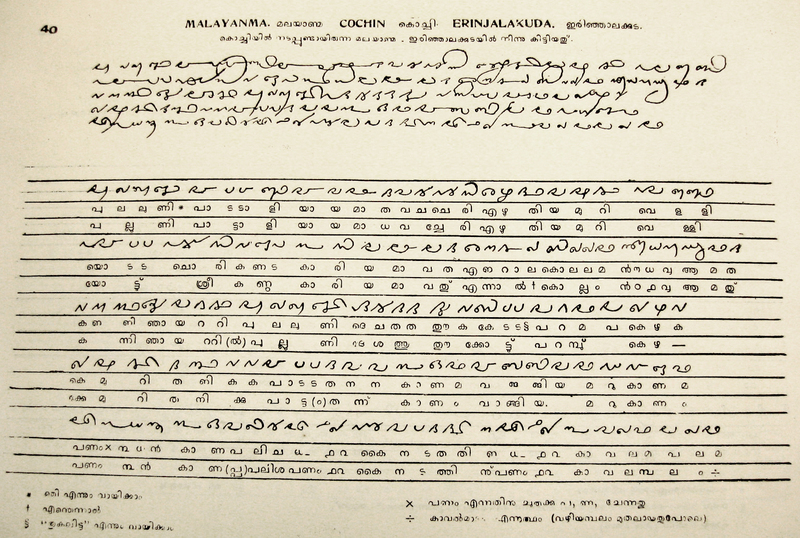 Cochin Erinjalakuda”, from Pracina Kerala Lipikal, by El E Ravivarmma, 1971. 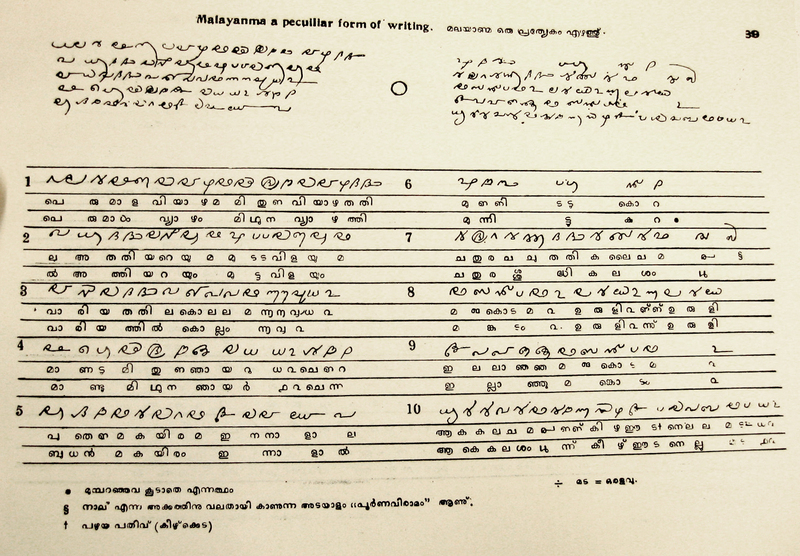 “Malayanma a peculiar form of writing”, from Pracina Kerala Lipikal, by El E Ravivarmma, 1971. “Malabar Kole-Ezhuthu”, from Pracina Kerala Lipikal, by El E Ravivarmma, 1971. I hope one of you readers will find these images useful in your studies! 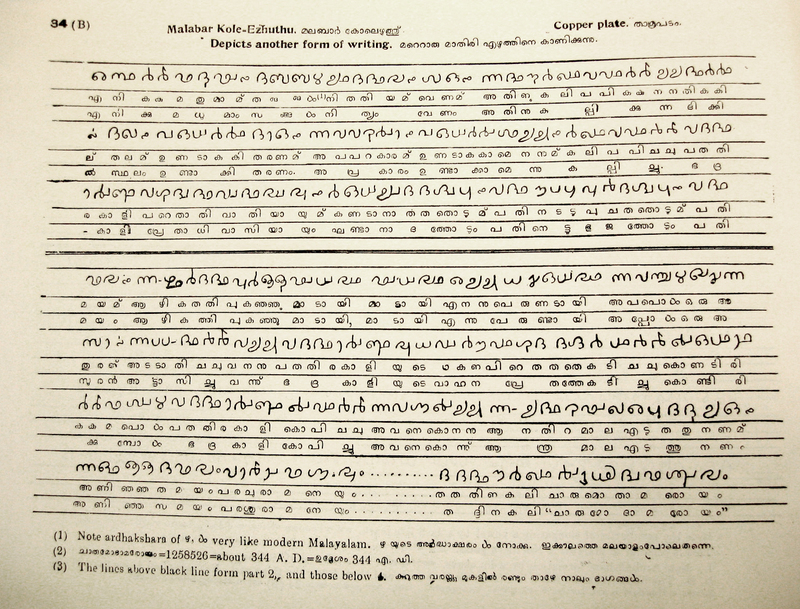 The second lines are direct akshar-to-akshar transliteration of the first lines, which almost don’t have conjuncts (there’s nothing there killing an inherent vowel) at all just like the orginal handwriting on the fire lines. 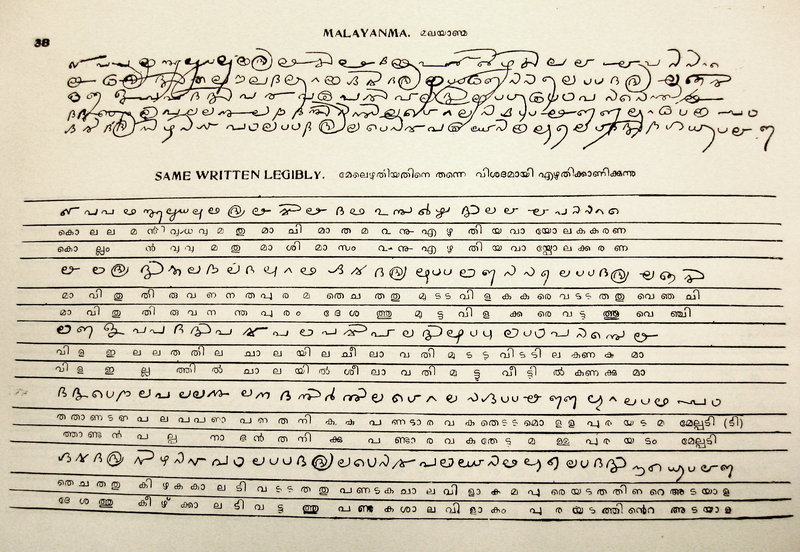 While the third lines are the intended phonetic sequence / speech rewritten in a more modern orthography, which employs virama/candrakkala and conjuncts to record pure consonant and consonant clusters.